SS1 Coroa da Mata 1 (8.25 km) 6:46.7 2. 2. European Rally Cup South 73.0 0.39 6:46.7 2. 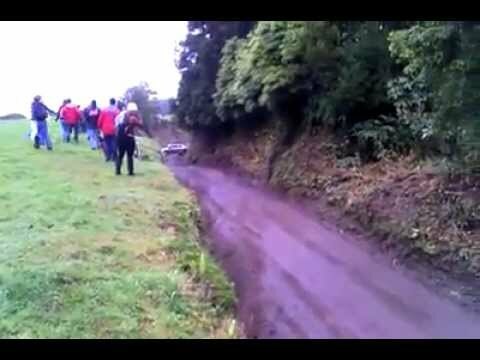 SS2 Sao Brás / Vila Franca 1 (6.48 km) 5:08.5 1. 1. European Rally Cup South 75.6 11:55.2 2. SS3 Grupo Marques 1 (2.20 km) 1:59.9 2. 2. European Rally Cup South 66.1 0.09 13:55.1 2. SS4 Feteiras 1 (7.00 km) 5:25.8 2. 2. European Rally Cup South 77.3 0.26 19:20.9 2. SS5 Sete Cidades 1 (22.85 km) 17:47.1 2. 2. European Rally Cup South 77.1 0.46 37:08.0 2. SS6 Feteiras 2 (7.00 km) 5:20.5 2. 2. European Rally Cup South 78.6 0.27 42:28.5 2. SS7 Sete Cidades 2 (22.85 km) 18:01.3 1. 1. European Rally Cup South 76.1 1:00:29.8 2. SS9 Sao Brás / Vila Franca 2 (6.48 km) 5:20.4 2. 2. European Rally Cup South 72.8 0.12 1:05:50.2 2. SS10 Graminhais 1 (19.60 km) 14:07.4 2. 2. European Rally Cup South 83.3 0.09 1:19:57.6 2. SS11 Tronqueira 1 (22.40 km) 18:34.3 2. 2. European Rally Cup South 72.4 0.23 1:38:31.9 2. SS12 Grupo Marques 2 (2.20 km) 2:02.3 2. 2. European Rally Cup South 64.8 0.41 1:40:34.2 2. SS13 Graminhais 2 (19.60 km) 14:01.0 2. 2. European Rally Cup South 83.9 0.17 1:54:35.2 2. SS14 Tronqueira 2 (22.40 km) 18:33.1 1. 1. European Rally Cup South 72.4 2:13:08.3 2.